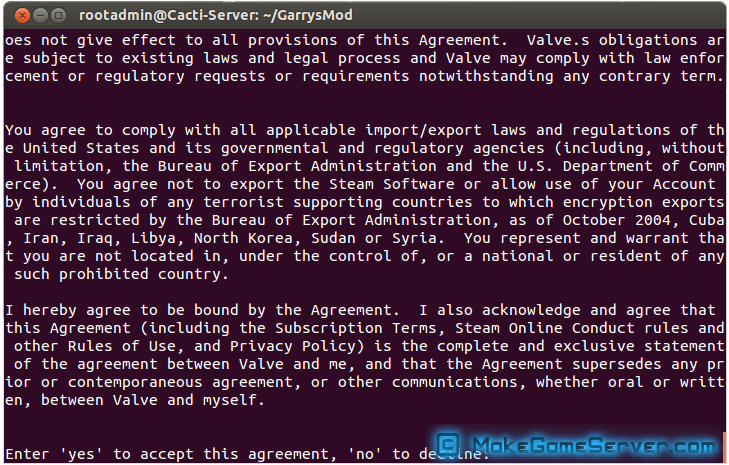 How to make Garry's Mod server on Linux / Ubuntu. 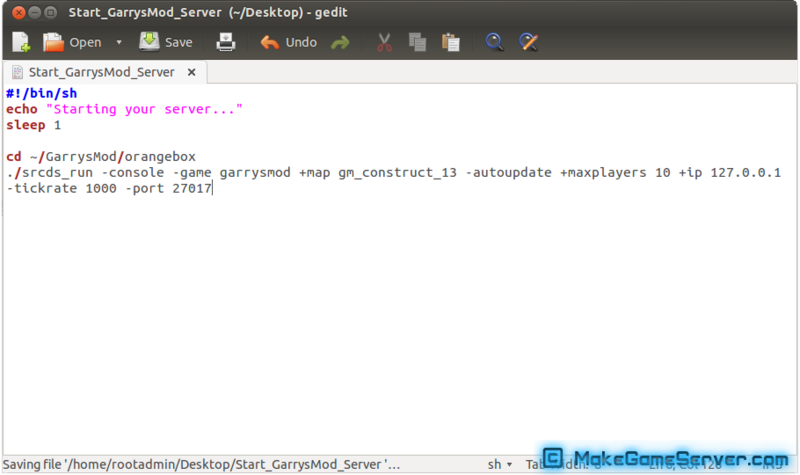 After you have created GarrysMod directory in /home/, now its time to access the folder and download the tools which we will be needing to make a Garry's Mod server! This will access your GarrysMod dicecroty. 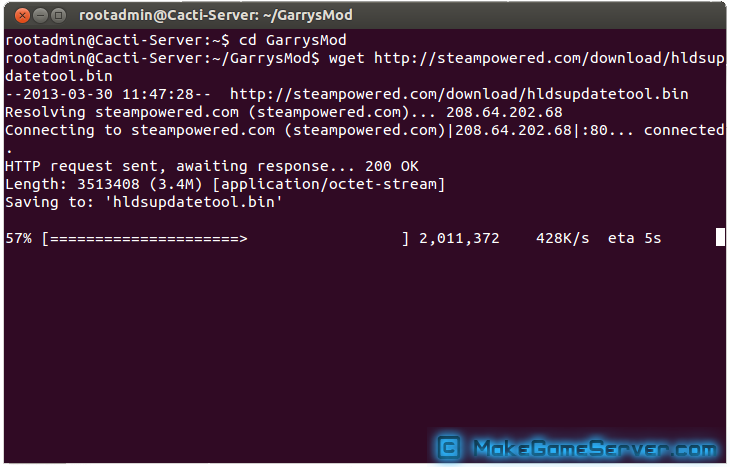 Now its time to finally download and launch HldsUpdateTool.bin, which we will download from the Steam website. 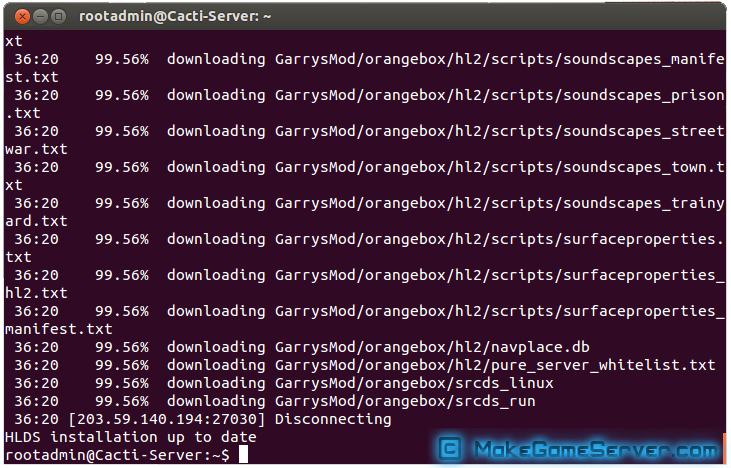 This should download a file called hldsupdate tool into the GarrysMod directory! To get full access to a file hldsupdatetool.bin, simply type this into your console. After you've typed the command into the terminal, you will see something similar to this. 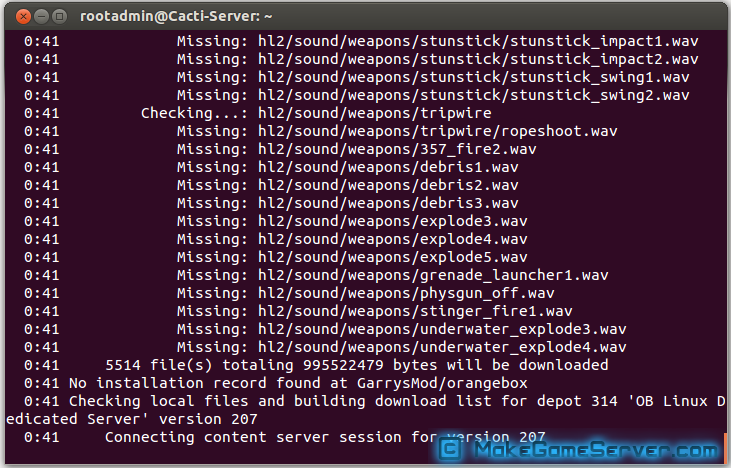 Don't panic, when it says "Missing" File. 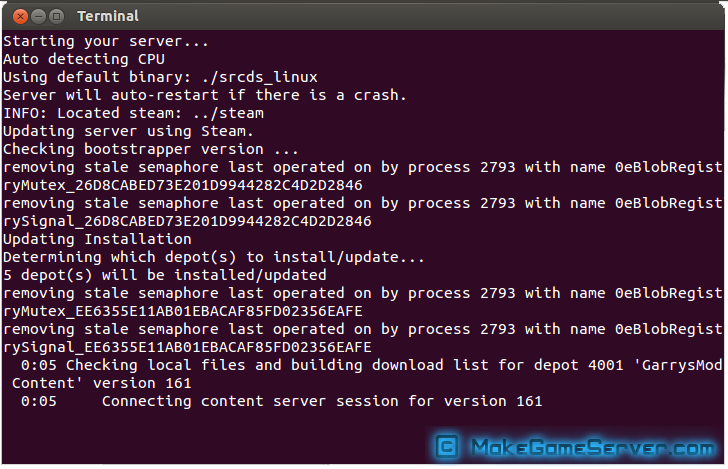 After its done downloading you will see a message saying "HLDS installation up to date". 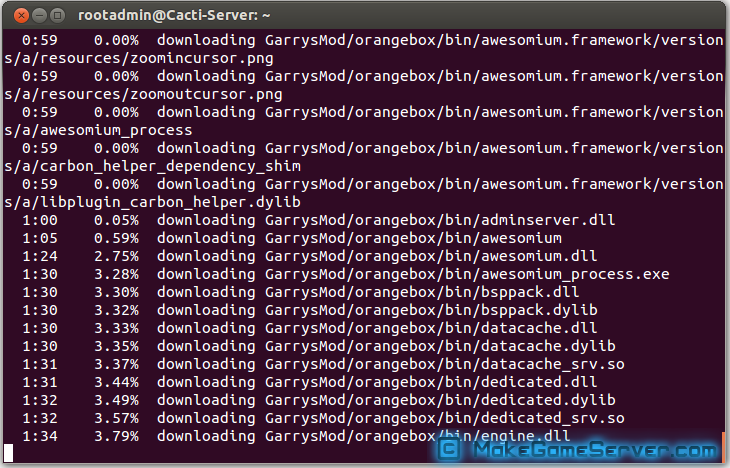 Then you will have to save a document as .sh file format to be able to run it through the terminal. 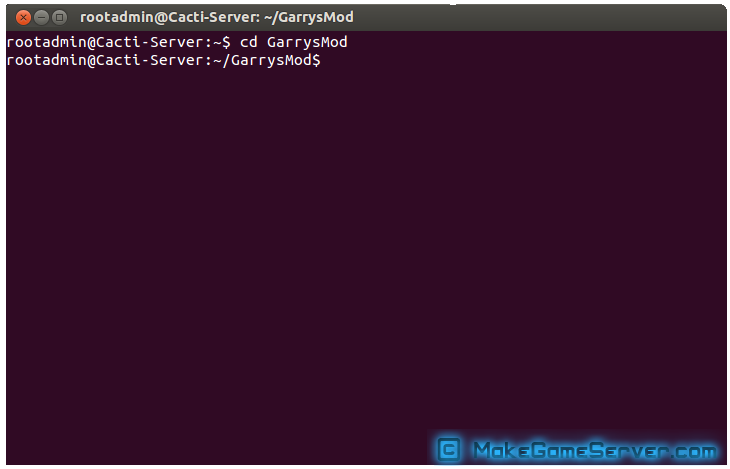 Click on "Run in Terminal"
After its done loading you should be able to see something like "VAC secure mode is activated"
Now your server its up and running and you can connect to it and play. 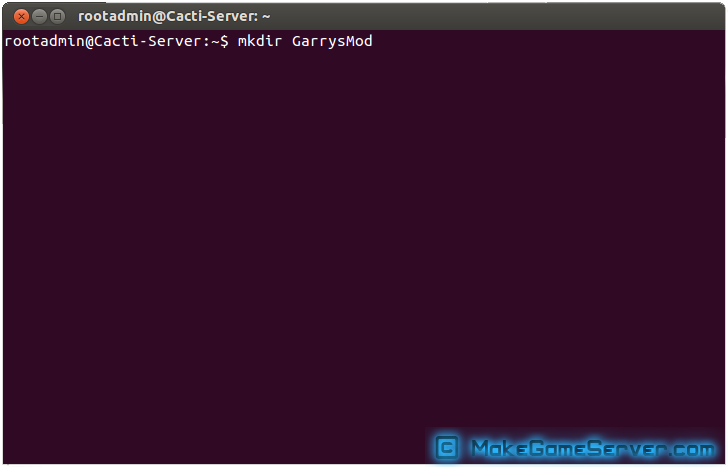 Remember if you want to play with your friends you have to consider opening a aditional ports on your router or modem.